Time, once again, for Multi-Map Monday. 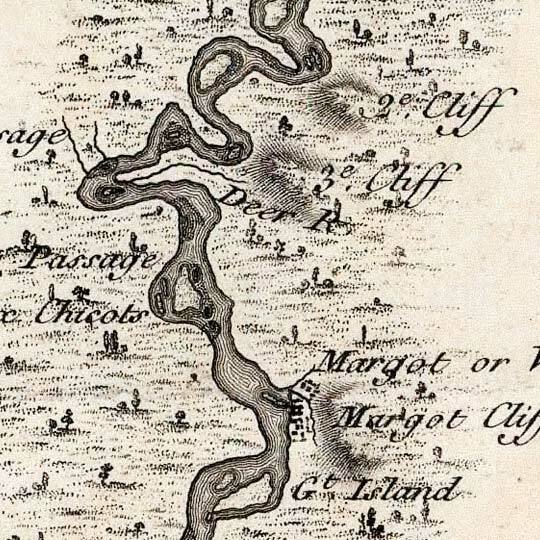 Love these old ribbon maps of rivers. These are done with great care by George Henri Collot in the late 18th Century. The descriptions of land-quality along the margins reveal the primary purpose of the map, and I wonder how accurate they were (or are). Seems like he's painting with a pretty broad brush. For more map resources and imagery from this period in St Louis's history, check out the State Historical Society of Missouri's website.